You know what my ten-year old's favourite breakfast is? 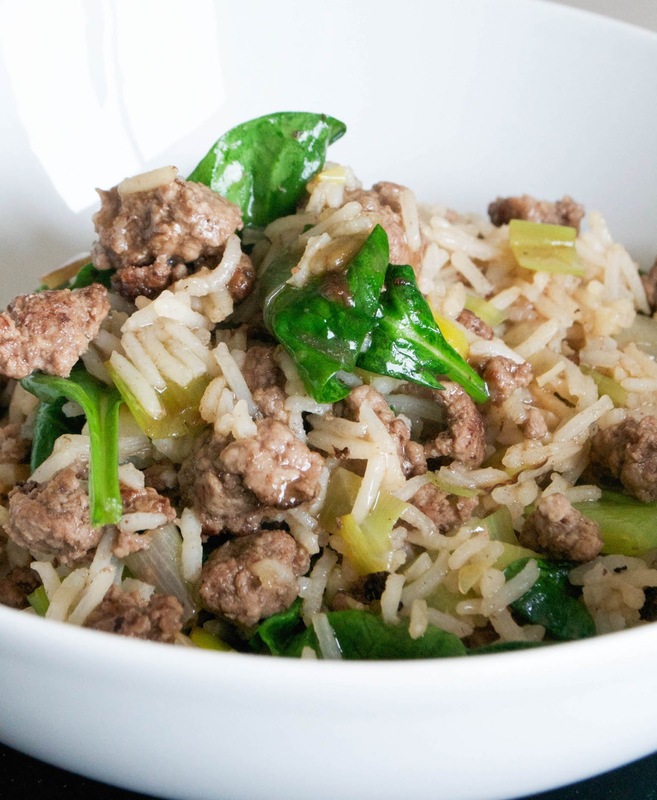 Beef mince, fried and then stirred together with greens, cooked white rice, garlic and onions. Oh and a mugful of broth poured in for it to get all juicy. It might look a bit of a faff to put together first thing in the morning, but it isn't. I promise. If I can do it, bleary-eyed and puffy at seven in the morning then you can, too. And it'll set you up for the day nicely. But be warned, lovely readers: I once made this for her without the rice and the broth and got a RIGHT ticking off. And incidentally, this is great for breakfast but it's also perfect for those days when you need a bit of extra comfort - something warm and healing that you can sip with the spoon from a big bowl. First, fry the beef mince until it's browned, breaking it up in the pan once it's done. Once it's pretty much cooked through and browned all over, add the chopped onion and the leek. Stir everything together and then turn don the heat so the vegetables soften. 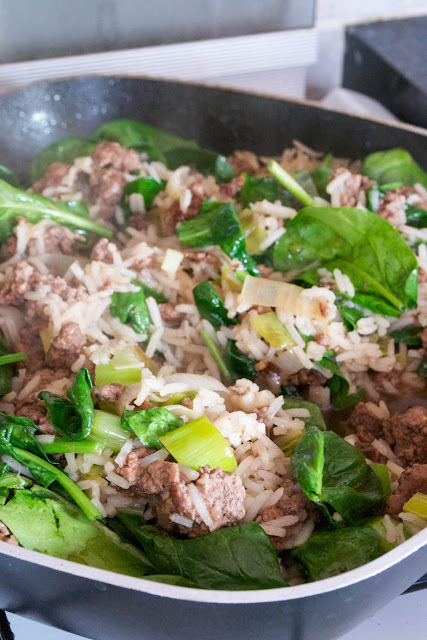 Next, cook the rice in a large pan of boiling water until cooked through and tender - about 10-15 minutes. Drain. Tip the drained rice into the pan with the beef and the veggies and stir to combine thoroughly. Pour in the stock and then stir in the spinach and allow it to wilt in the pan. Season to taste with salt and serve straight away.